In addition to our streetwise city guides, to all of the best city break destinations in the world, Urban Travel Blog’s collective of on-the-ground travel writers constantly update our blog with a number of regular and special features. Read on and be inspired not just to love – but to live – the city. At Urban Travel Blog we prefer to experience a city, than simply see it. In these regular features our travel writers report on some of the most exciting, fun and/or insightful experiences on offer in urban locations around the world. Read up on exploring Krakow in a Communist era Trabant, ghost tours of London town, Berlin’s balmy beach bars and much more! More adventures in our Experiences category. Travel needn’t mean performing a tick-box circuit of centuries-old cathedrals and ‘must-see’ museums. With our regular Trends features, Urban Travel Blog aims to lift the lid on the latest fads, fashions and crazes on the continent and beyond to give you something worth flying for. From ‘Glamping’ in Alicante to Turbo Golf in Warsaw we’ll keep you on the cutting edge of travel. More adventures in our Trends category. Whereas most nightlife features are written by geriatric walking-stick touting travel writers, based on a bit of local hearsay or an out-of-date guidebook, we are going straight for the jugular with our series of nocturnal adventures in cities around Europe and the world! Our brave reporters aren’t afraid to get their hands dirty, and their livers damaged, as they drop in on the hippest hotspots, fearlessly imbibe the regional poisons and engage the locals in conversation (and more if possible! ), all in the name of nightlife journalism. From boozy nights in Williamsburg New York, to raving it up in Ljubljana’s Metelkova zone, we’ve been there, done that, and possibly puked down our T-shirt. More nocturnal adventures in our Nightlife category. Few things excite an Urban Travel Blogger like the promise of a great festival, and in these first hand reports we delve straight into some of the best events and happenings around the world. And by festival we don’t just mean just mega-fiestas like Sziget on Buda Island, but also uncovering bizarre local traditions that have survived the ages, such the Procession of the Serpents in Cocullo, as well as checking out the ever evolving music and culture festivals that take place in every major city around the world, always with their own twist and distinct local character. More reports in our festivals category. 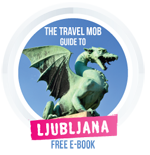 Every city has its unique selling points and specialties – and we propose to celebrate them! In our regular Top Five slot, our travel writers cut to the chase and dish the dirt on the very best… microbreweries in Prague, rooftops bars in Madrid, organic markets in Amsterdam, beer gardens in Bristol, bizarre statues in Vilnius and more. More essential travel compilations in our Top Fives category. Often even the most talented wordsmith can’t paint the mood and the magic of a new place the way a trained lens can. In our photo essays we publish travel photography that captures the essence of a specific place, street, time or aspect of our city wanderings: such as the spectacular Correfoc (“fire runs”) of Catalonia or the faded allure of Porto’s weary portals. More photographic journeys in our Photo Stories category. Sometimes we not only need a city break, but we need a break from the city. In our Escape series we highlight some amazing locations and places to stay where we can unwind for the weekend or longer. If it’s recuperation more than excitement you seek, check out the following. Click for all features in our Escape category. As well as our regular features above, Urban Travel Blog also publishes special features covering diverse travel destinations, hot topics and anything else our team of bloggers encounter as they roam around the globe. More travel reports in our Special Features category. To complement our stories and adventures we also publish insider guides, to our favourite urban hotspots, perfect for planning a long weekend in the city. You can browse alphabetically via continent on our city breaks page, which we update frequently. And, for the truly dedicated city slicker, we’re also now publishing “In The Zone” District Guides for a more in depth look at uberhip barrios like Kreuzberg in Berlin, Gazi in Athens and Le Marais in Paris. If you’ve seen the sights already, and just want to hang out Bohemian style like a hip local make sure you bookmark these neighbourhood reports! Another category that takes you deep into the metropolis, this time by suggesting seven amazing things to see and do, that are firmly off the beaten track. Perfect for those visiting a city for the second time, or anyone tired of the circus, tickets and queues of mass tourism. Check out our recommendations in Berlin, London, Rome and Athens. To keep up to date with our latest posts and news your best option is to subscribe to our newsletter, which is a brief bulletin of all our latest stories dispatched to your inbox roughly once every two weeks. Alternatively you can find us on Facebook, or follow us on Twitter. The Editor also scribbles a few words about the latest goings on at Urban Travel Blog every couple of months in his From The Editor column, whilst we also give our industry partners and friends a voice in our Travel Info section. If you are a travel writer (published or aspiring) with a great idea for a feature, then pitch your proposal to the duncan@urbantravelblog.com along with a short bio/CV and some samples of your work. For more recommended reading see our list of favourite travel websites and blogs. Sadly, as we expand and sometimes change our focus, we’ve had to discontinue some strands of our reporting. For example our Eco/Travel section and our On The Road adventures. Boo hoo, I enjoyed publishing many of these stories. I link to them here so that interested parties can read them and so that they remain indexed with our friends at Google and other search engines. However as of right now there are no plans to continue with these sections of the blog. Climate change and global awareness are already having a major impact on the way we travel, and that is set to increase as saving the planet becomes everyone’s top priority. In our Green Light features we will investigate some of the ways we can travel and look after Mother Earth simultaneously, be it working on dolphin reserves in Croatia or staying in subsistence farms in Greece. We also speak to some of the people making a difference around the world. More environmentally-friendly adventures in our Green & Eco Travel category. Our On The Road series of posts are diary-style journals that chronicle the (mis)adventures of our team as they set out on the open road with little but their wits and an out-of-date Lonely Planet to guide them. All On The Road posts here.